1954: CLEAR THE DECKS! 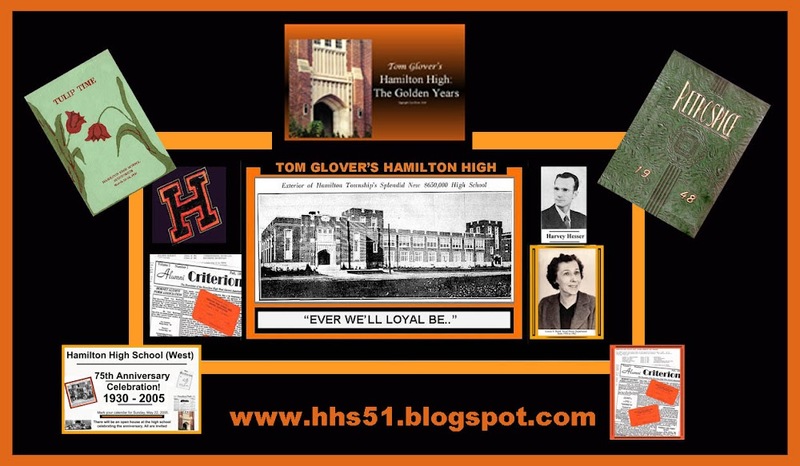 HHS 1954 TO CELEBRATE 60! 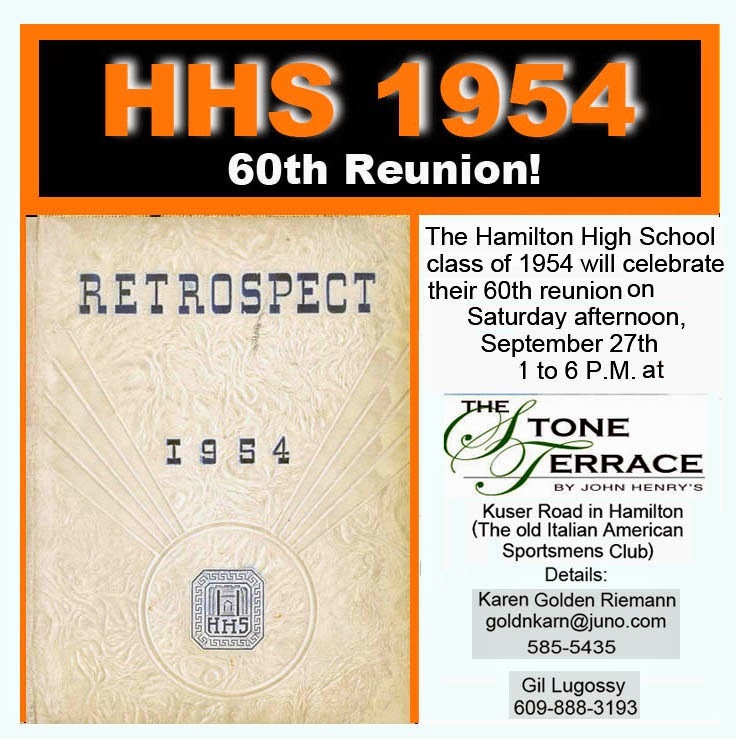 This Sunday's "Sentimental Journey" column on page 2 of "The Times" will recall the year 1954 and the many friends I have from that Hamilton High school class. The 1950's are quickly moving back in time with distant memories still retained by those of us in the 70 to 80 age group who remember a much less hectic and slower lifestyle. Back then high school girls wore modest skirts and blouses, and the boys neatly dressed with a necktie or attractive sport shirt. Drugs were sold in a drug store, and Coke was a delicacy at Hamilton High's Park Avenue teen hangout, "Toon Towne." Weather permitting, this week's Kuser Park Tom Glover music program will concentrate on the great songs from that era.